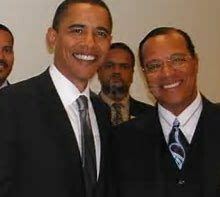 This photo of the leader of the Nation of Islam Louis Farakhan and then largely unknown Barry Obama was taken in 2005, yet remained largely unseen until 2018. Because, like lies of omission, fake news decides what you need to see...and what you don't. 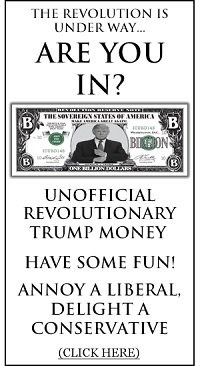 - Hey, this could have meant Barry's 'losing' millions of votes in 2008, and the Left couldn't have any of that. Barry was their predetermined 'boy' long before 2005, you see....the "fix was already in" long before then.